We, her family and friends, dedicate this web-site in memory of Sarah Ann Norton. Sarah lost her life on the 23rd February 2004 only 40 hours after giving birth to her first child Ethan Andrew Nicholson. After Sarah's death Primary Pulmonary Hypertension was diagnosed. Sarah Ann Norton was born on the 29th May 1980, at Narrandera Hospital, NSW. Sarah was 7lb. ½ oz. when she was born. The fourth daughter to Carmel and Wayne Norton, baby sister to Megan, then six, Emma, three and Brooke, eleven months. Brooke and Sarah were so close in age they were like twins. Dressing them the same, one in pink the other in blue, they did everything together, they were the best of friends. Sarah lived in Matong, NSW until she was nine, then moved to Wagga Wagga, NSW, with our family. Our children grew up in a happy and loving environment, nothing meant more to me than my children. I loved being a Mum. Sarah was a very intelligent child, yet she enjoyed the social side of school more than the educational side. Sarah loved spending time with friends, enjoyed going out and having a few drinks, much to our worry!! and a few social ciggies (as she would call it). Our favourite memories are of our regular barbies and drinkings on the balcony, Christmas and the birth and christening of Sarah's nephew, Riley and the birth of Sarah's son, Ethan. We are lucky to have had such beautiful times together. Sarah left home and went to Sydney to work. She was so homesick, trying to get home at any opportuniy. After twelve months in Sydney, it was time for Sarah to come home, and her sister Brooke went to Sydney to help her move back home. It took a couple of months to find work in Wagga, but eventually she obtained a traineeship at Riverina Cancer Care. This was a very difficult job. Working with people that were very sick. She always managed to put a smile on their face, and was proud of her achievements. At that time she moved to an apartment in Wagga where her and her girlfriends were always partying together. After eight months she moved back home again which made it a bit easier money wise. Brooke had a baby boy on 10th April 2003 calling him Riley. Sarah was so excited to be an aunty. At that time Sarah met and fell in love with Craig, then Sarah fell pregnant and moved to Albury to be with Craig. Sarah and Craig were so excited about their baby coming. Sarah was about four months pregnant when we found out her sister Megan was also pregnant. After hearing the news Sarah was so excited, she kept calling Megan to talk about it. She was so happy to think about all the babies being together. Sarah and Craig found out they were having a boy and had already named him Ethan Andrew. Every doctors visit, Craig would go with her, sharing every happy moment together. Sarah was so happy, the man she wanted to spend the rest of her life with and a new baby boy on the way. I bought her a cot, and would always be sending a parcel of things for the baby. Sarah's pregnancy went well, until there was about three months to go when suddenly she became very tired and breathless. We all thought this was part of her pregnancy. On the 21st February 2004, Sarah was induced and then had an emergency ceasarean as the baby was stressing. We left Wagga around lunch time to go to Wodonga. When we arrived the baby had already been delivered and was in the nursery. He was only little at 4lb. 14oz, even though he was born only two weeks early. Sarah had been taken to Intensive Care and I was wondering why we weren't allowed in to see her. The nurse told me they thought Sarah had a clot. When I saw Sarah I was very shocked as she was a blotchy colour. Later that day, everyone was allowed in to see her and she seemed happy and was looking a lot better. The next day, Sarah was a better colour. She had a scan in the morning and the nurse told us her test results looked good.She was so excited about the baby. The nurse bought him into her room and Sarah said “Mum, have a nurse”. He cried and it was the smallest cry I had ever heard. We all started laughing. She was so proud of her son. We left her later that afternooon of Sunday 22nd February 2004, saying we will be back on Wednesday and staying until Sunday to spend time with her and the baby. I went home thinking she was going to be okay. We got a call at 5.30am to say she was on life support. A mothers nightmare. Sarah lost her life at 7.00am, we reached Wodonga at 7.05am. SARAH ANN NORTON Mother, Daughter, Sister, Partner and Aunty. Her legacy will live on through her son Ethan, and this support group that is dedicated to her. Click on the heart candles to light a candle for Sarah and for a cure for PH. 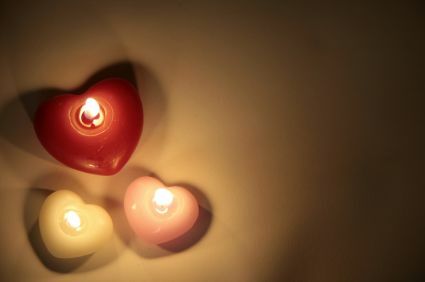 Search under our group, PHAA, to see if there are any current candles or feel free to light a candle and where it asks to associate with a group type in PHAA and we will all be grouped together.